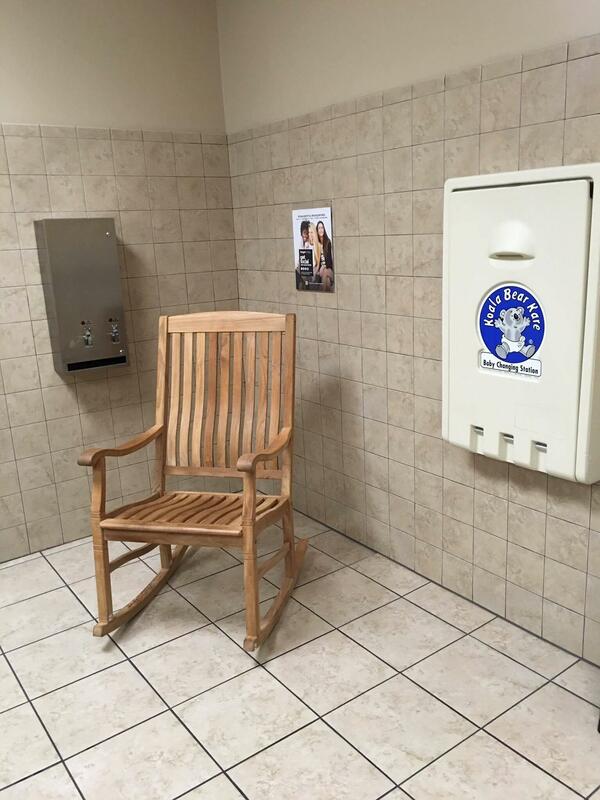 Tanger Outlet in Locust Grove Georgia has a nursing area inside the bathroom area. According to mom, Kirsty, "There was a little area that was kind of nursing friendly near the sinks in the restrooms. Not the best but certainly better than sitting in the actual bathroom stalls."